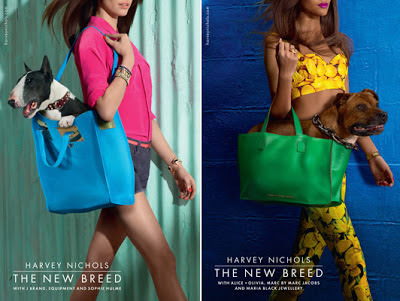 Department store Harvey Nichols's new campaign features sizeable hounds being toted in spring's must-have bags. Carrying a dog in your handbag is cool again. Honestly. Not the runty-looking rat-dogs of the Paris Hilton days of yore, though: this time, we're talking mutts with a bit of heft. Well, Harvey Nichols is.